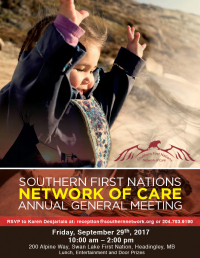 Browse the posts in our News & Events section to stay current with the work of Southern First Nations Network of Care. 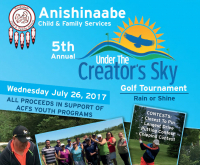 Join us on Wednesday, July 25, 2018 for our annual golf tournament in support of Anishinaabe CFS Youth Programs. 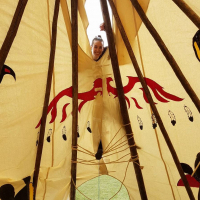 It was a great thing to watch the Southern Network Youth Group paint and set up the teepee for our Annual General Meeting on September 29, 2017. 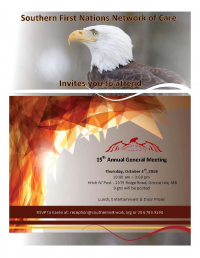 Southern First Nations Network of Care is delighted to invite you to our Annual General Meeting. 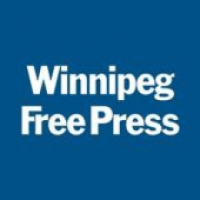 Southern Network welcomes the people to join them for an open-house on Swan Lake First Nation Treaty Land in Manitoba.